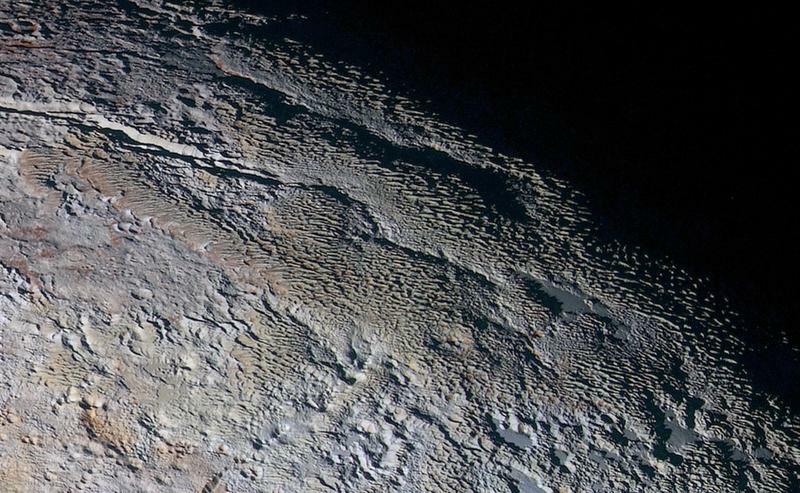 NASA says its New Horizons spacecraft has sent back a wealth of new information about Pluto, the chief finding being a pair of “ice volcanoes,” one of which is estimated to be over 3 miles high. 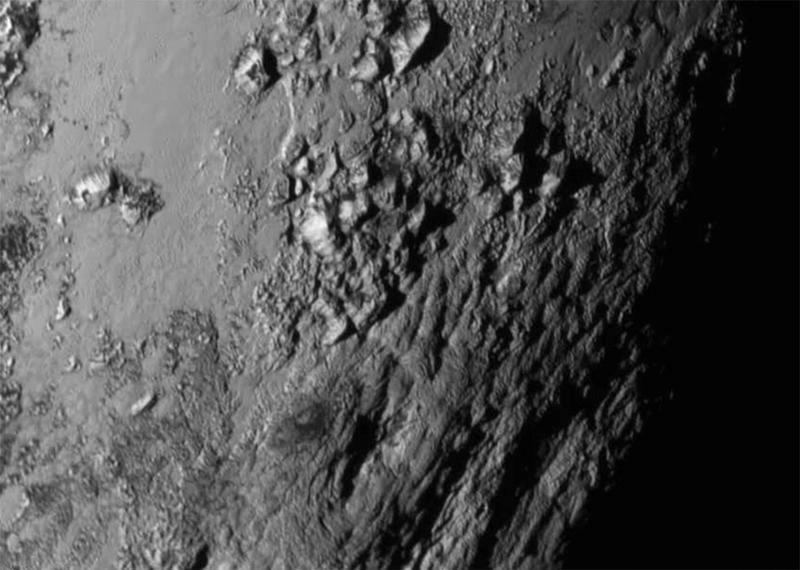 The 3-D image you see above is a combination of pictures sent back by New Horizons, and shows two large mountains with summit depressions. 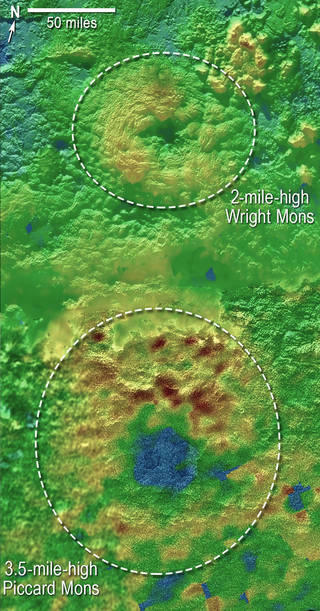 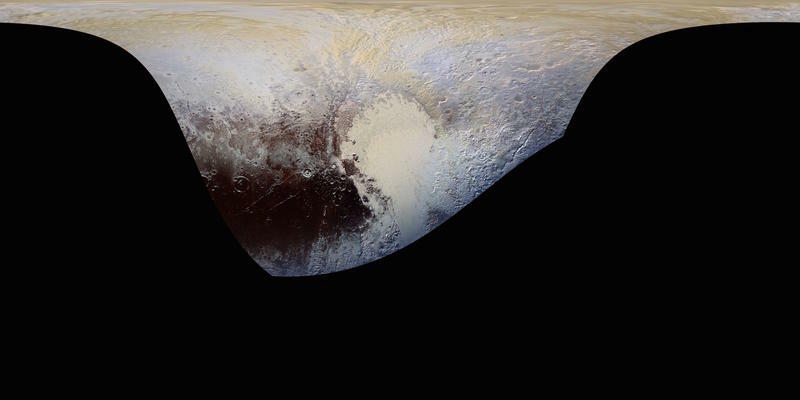 “These are big mountains with a large hole in their summit, and on Earth that generally means one thing—a volcano,” said Oliver White, New Horizons postdoctoral researcher. 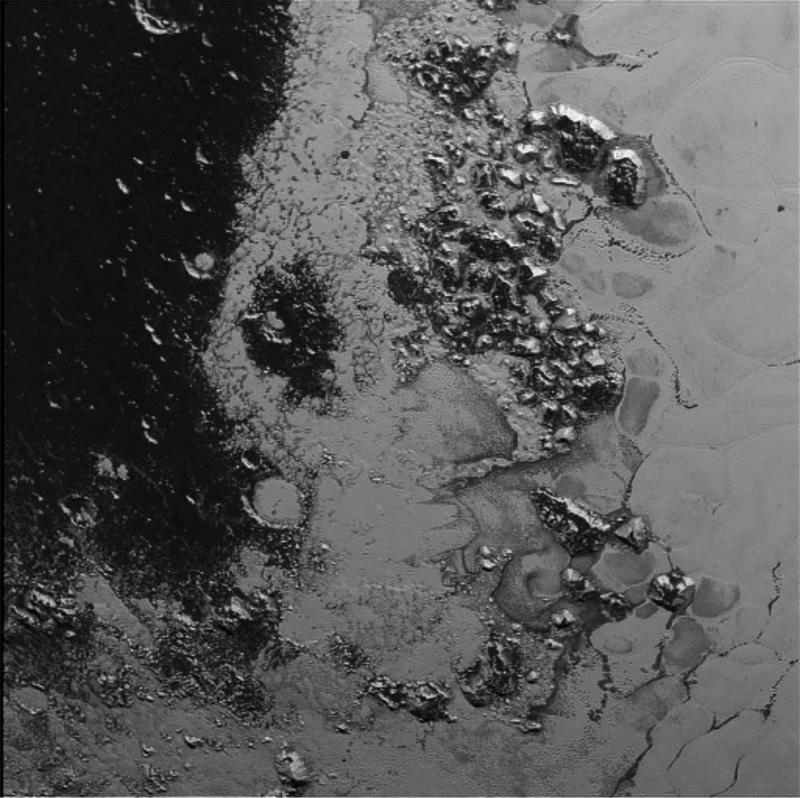 White added that the hummocky texture of the mountain flanks likely represents volcanic flows. 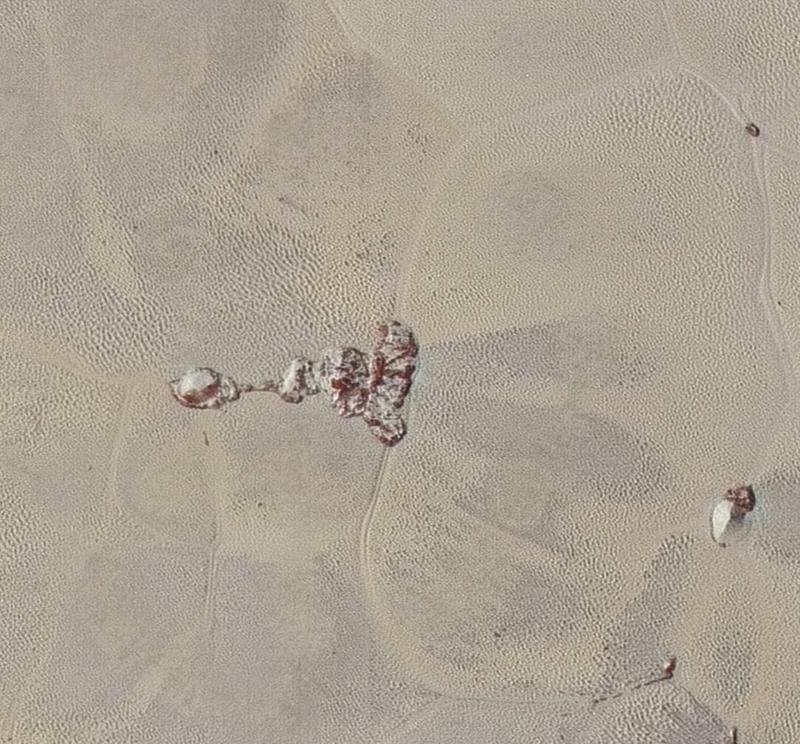 “Why they are hummocky, and what they are made of, we don’t know yet,” White said. 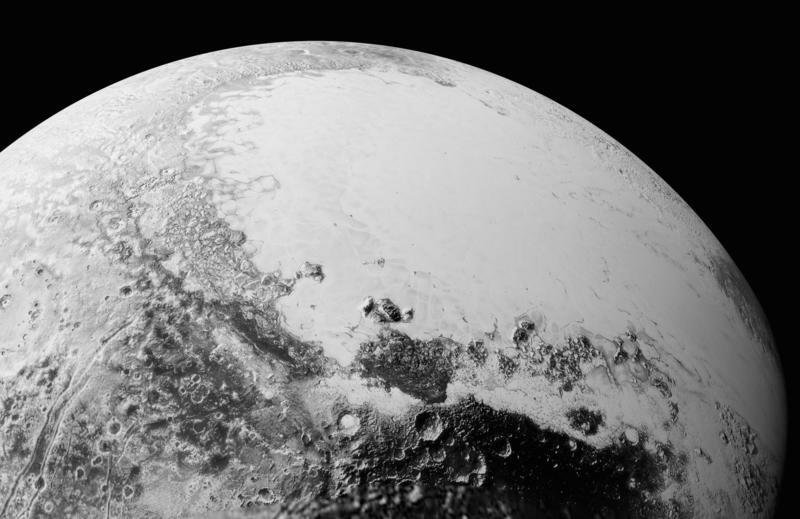 New Horizons revealed more insight about Pluto’s surface, too, which scientists say ranges from ancient, to relatively young—as young as 10 million years old. 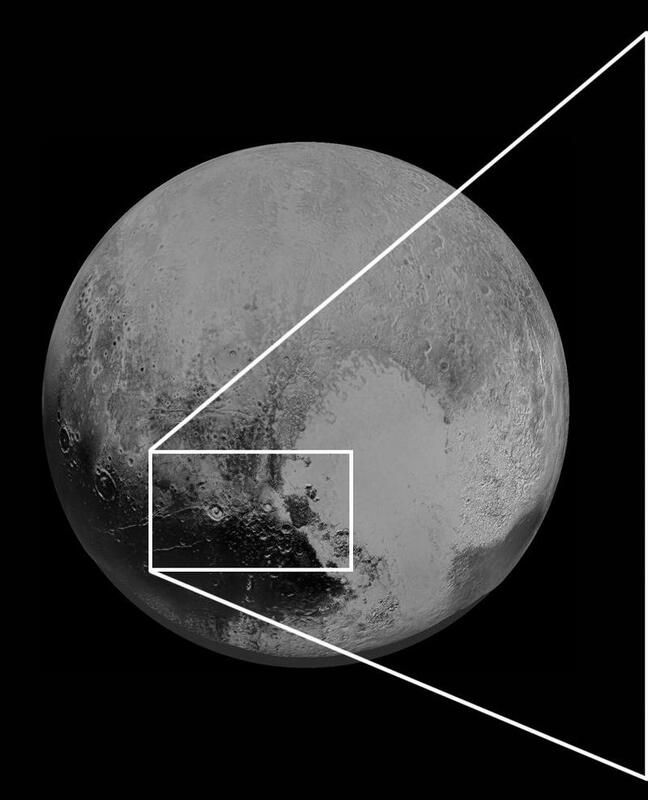 You can actually see a younger area, known as Sputnik Planum, to the left of Pluto’s “heart;” this area is completely free of craters, which means it hasn’t yet hit space puberty (that’s a poor acne joke). 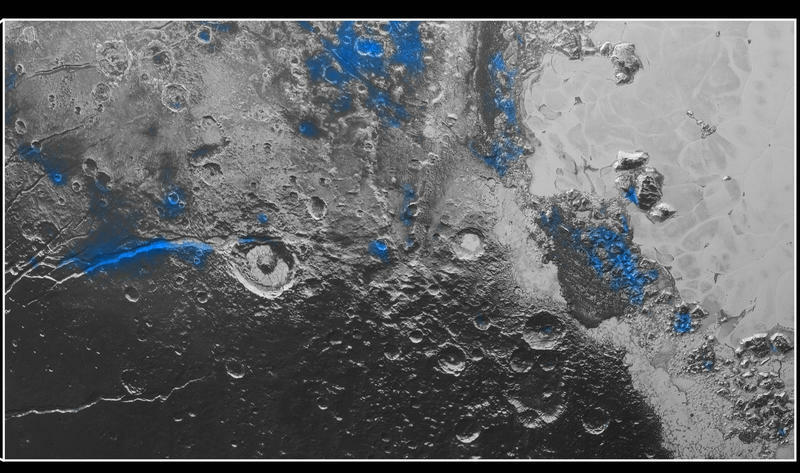 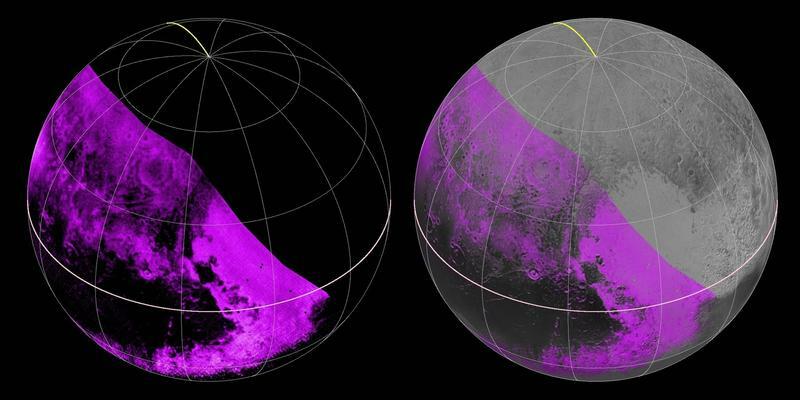 NASA said mapping craters on Pluto’s surface gives the agency insight into the structure of the Kuiper Belt, which is a region of the Solar System beyond the planets. 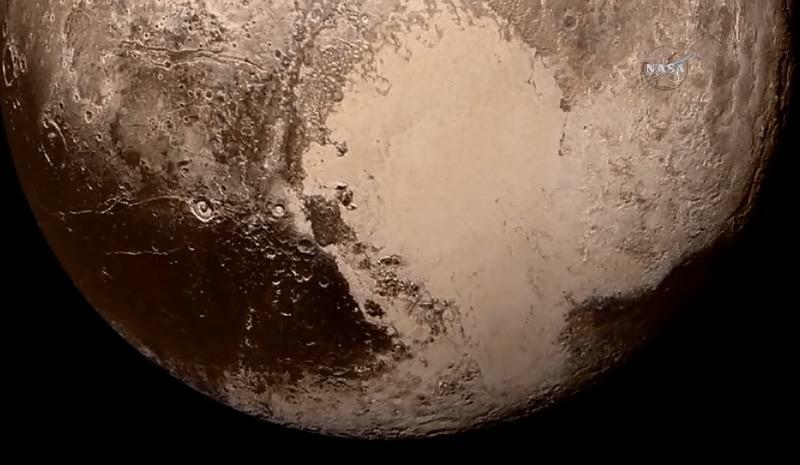 “The absence of small craters on Pluto and Charon support other models theorizing that Kuiper Belt objects tens of miles across may have formed directly, at their current—or close to current—size,” NASA explained. 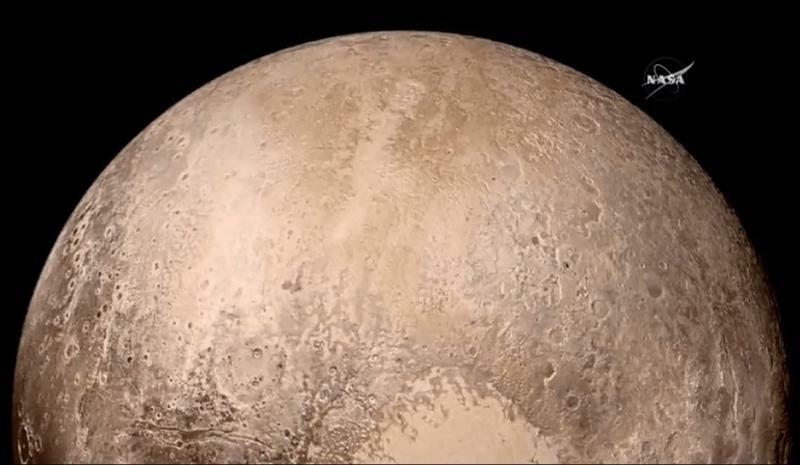 Finally, NASA says New Horizons has revealed more about Pluto’s system of moons, which spin much faster than the synchronous rotation of Earth’s moon. 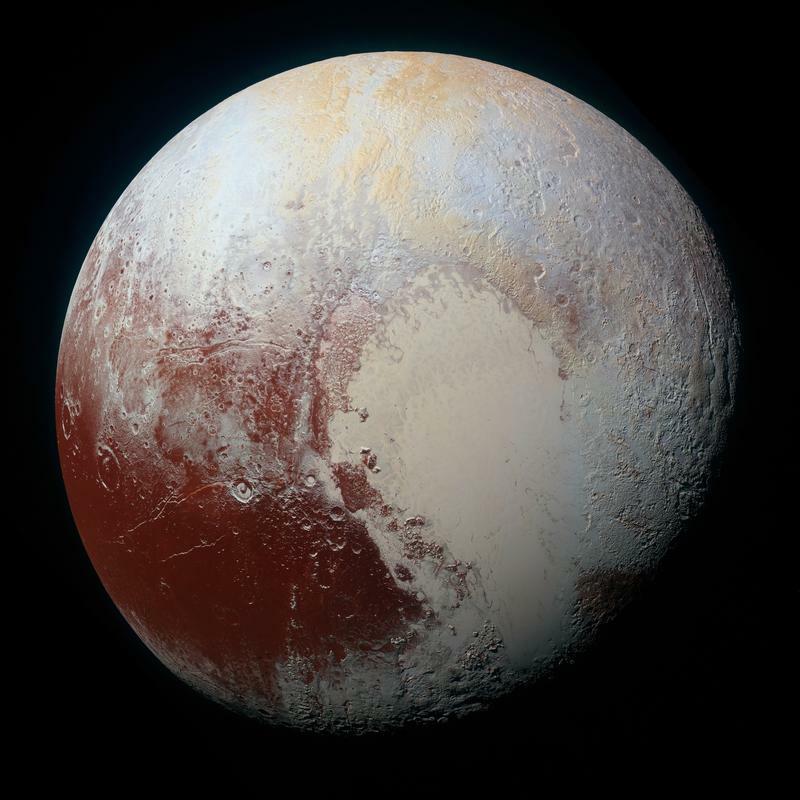 For example, Hydra, Pluto’s most distant moon, rotates 89 times during a single lap around the planet. 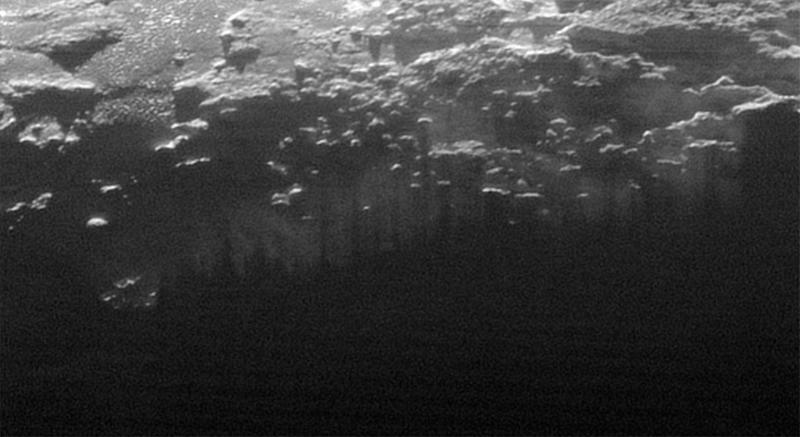 Imagine what being on Hydra’s surface would be like. 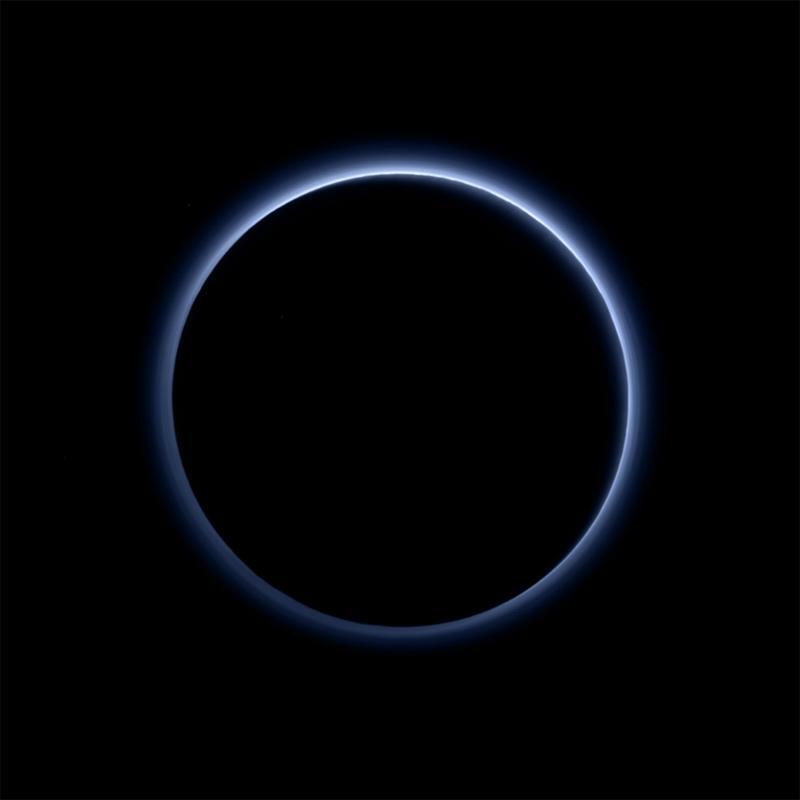 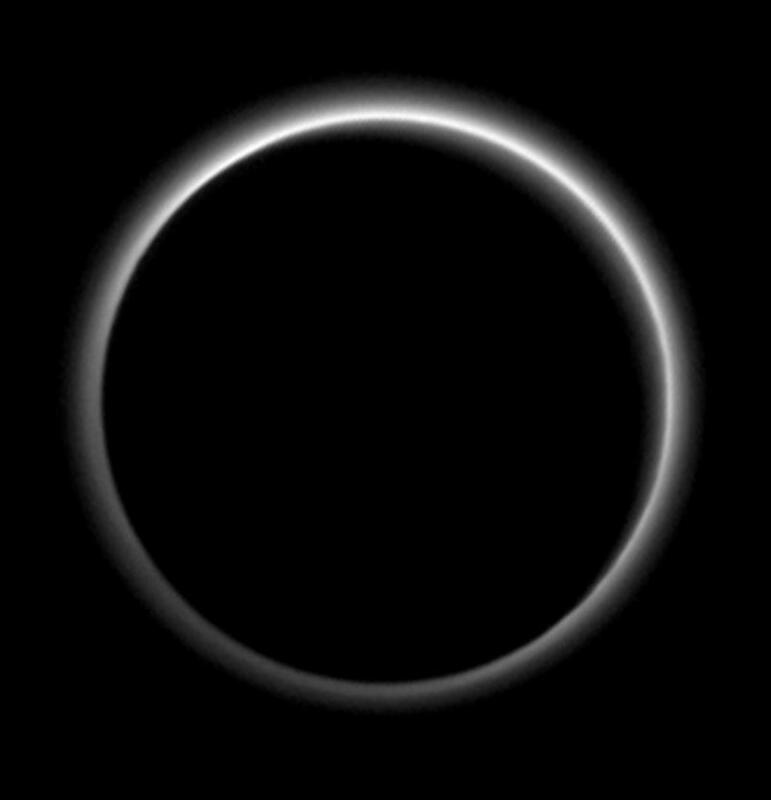 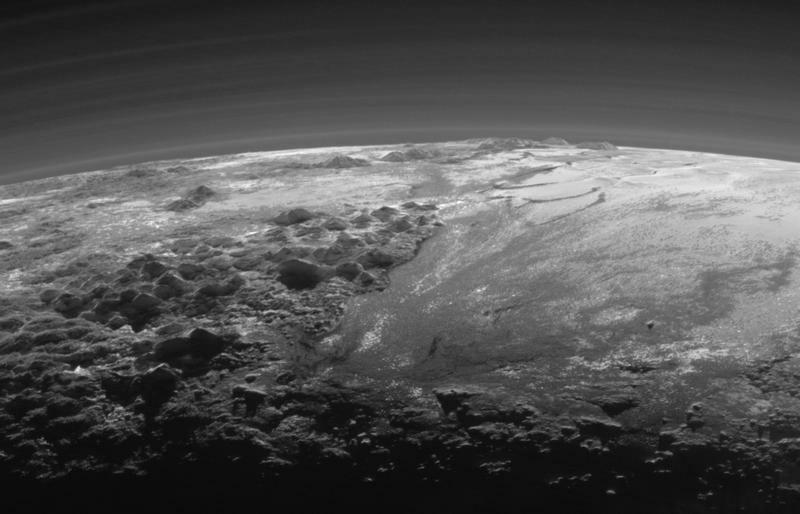 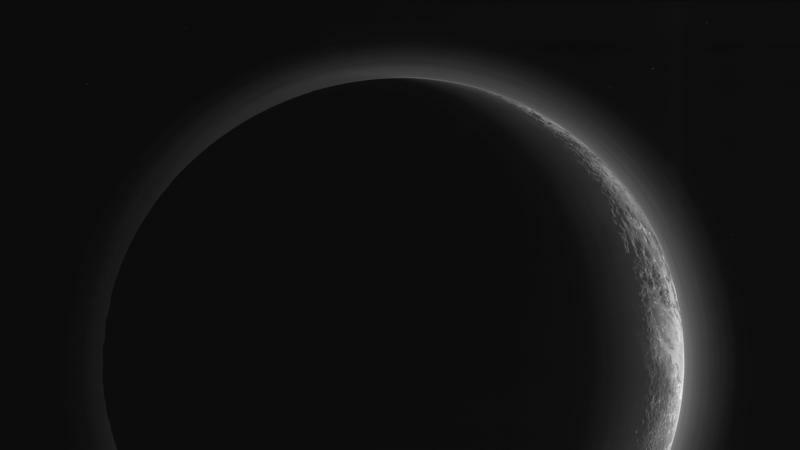 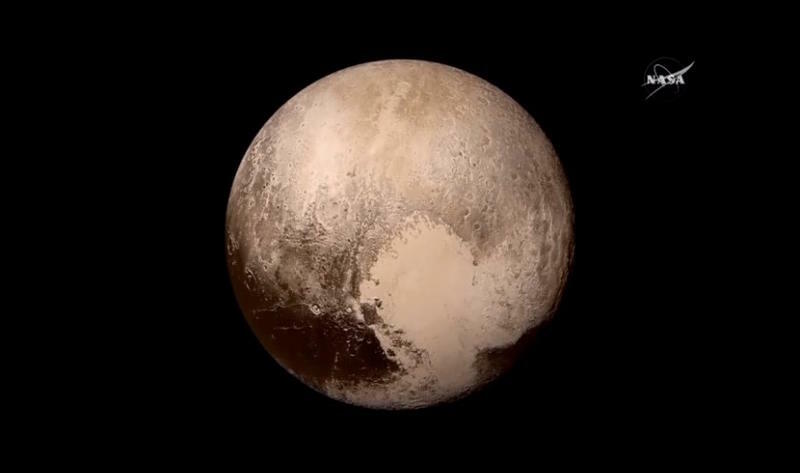 You can learn more about NASA’s most recent Pluto findings at the link below.